The Centers for Medicare & Medicaid Service (CMS) has issued Change Request 8441 which instructs home health agencies to report the NPI and name of the physician who certifies the patient for home health services. The Change Request also requires home health agencies to report the NPI and name of the physician who signs the POC. In most instances, the certifying physician will be the same physician who signs the plan of care. However, in instances where the physician who follows the patient in an acute/post acute care facility is physician who completes the F2F encounter document and certifies the patient, the NPI and name of the certifying physician will be different than the physician who signs the POC. CMS is requiring that the NPI and name of the certifying physician and the physician who signs the POC be reported on the claim even if they are the same physician. 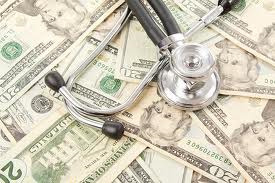 Therefore, both the attending physician and the other physician fields will be required to be completed on all home health claims on or after the July 1, 2014 effective date. The Change Request makes the effective date for claims with dates of service on or after July 1, 2014. The National Association for Home Care & Hospice will be requesting CMS to apply the effective date to episodes that begin on or after July 1, 2014, rather than dates of service. To view Change Request 8441, please click here.